I've been expanding my pickling horizons lately. I made a few batches of Pink Pickled Radishes earlier this summer, and recently I've added carrots and peppers to the repertoire. This might seem a little backwards since I've never actually made pickled cucumbers, but I have big plans for that in the next few weeks as cukes are just coming into season here. In the meantime, I'm topping everything I eat with these guys. I used the same brine recipe for both batches, and I think it would work well with almost any veggie. 1. 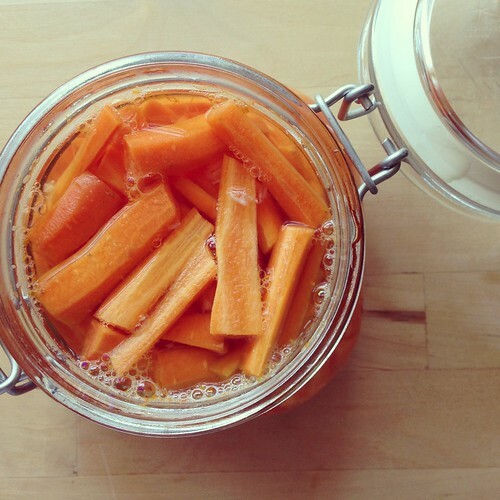 Place veggies in a heatproof jar or resealable container. 2. Combine the remaining ingredients in a small saucepan and bring to a boil, then reduce heat and simmer for 2 minutes. 3. Pour brine over veggies (I found a funnel helped greatly with this) and allow to cool to room temperature before covering. Seal and refrigerate at least overnight. Pickles will keep in the fridge for 1 month. 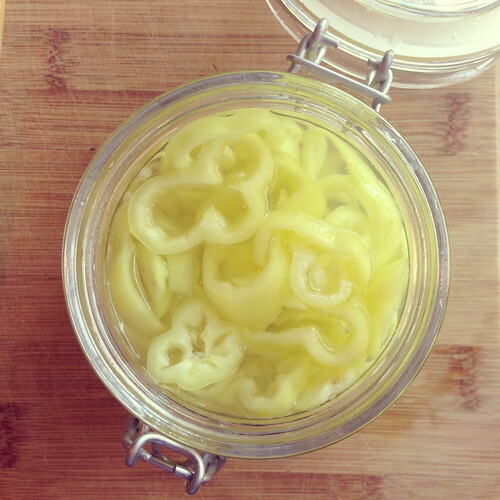 Pickling is a great way to preserve the bounty of the season of plenty for use during the seasons of little. Have you tried the gourmet Thai cuisine recipes and tutorial video at http://ChefLeeZ.com?